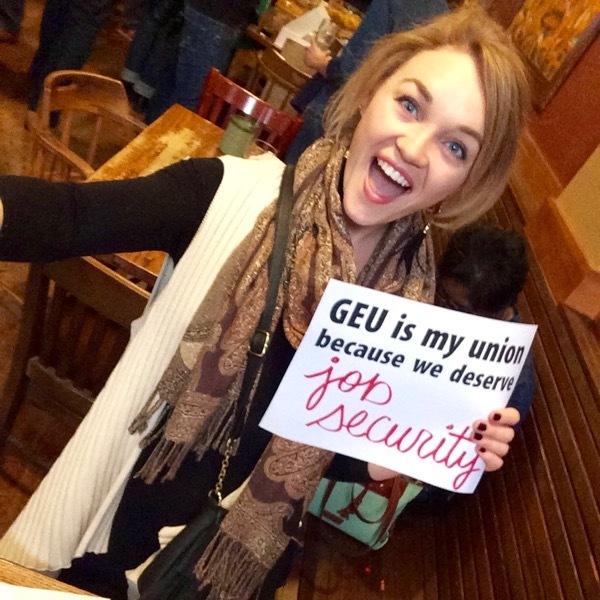 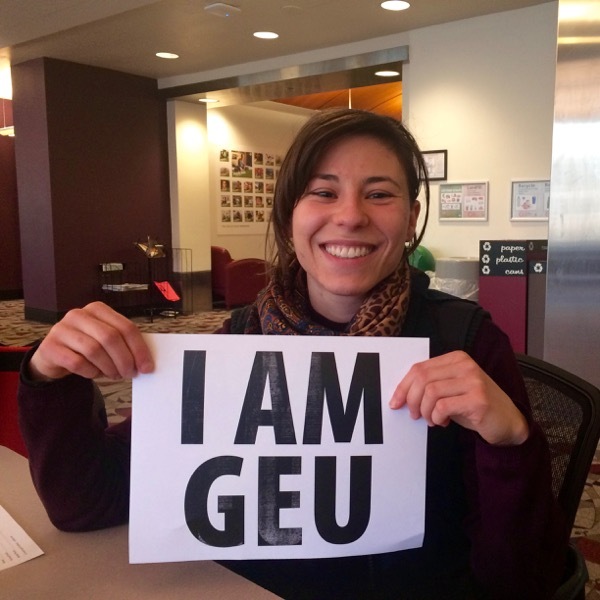 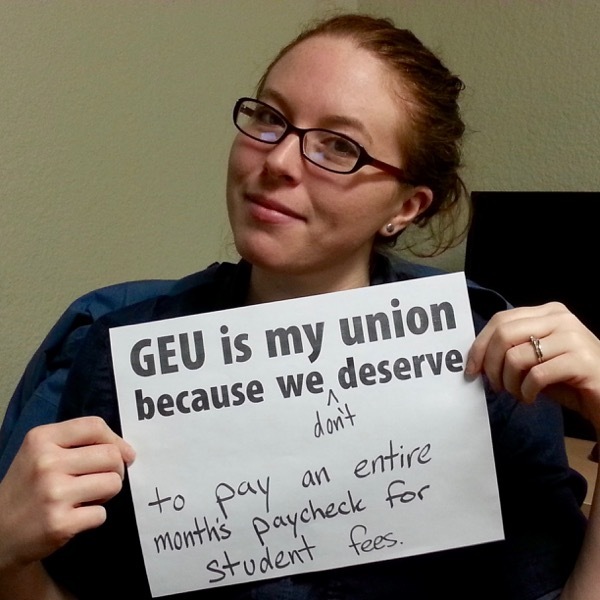 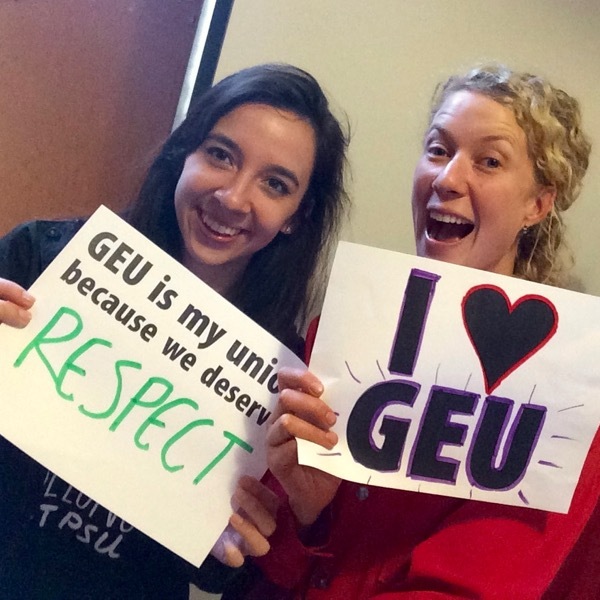 The Graduate Employees Union, AFT/AAUP (GEU) is a union made up of nearly 800 graduate teaching assistants, research assistants, and administrative assistants at PSU. 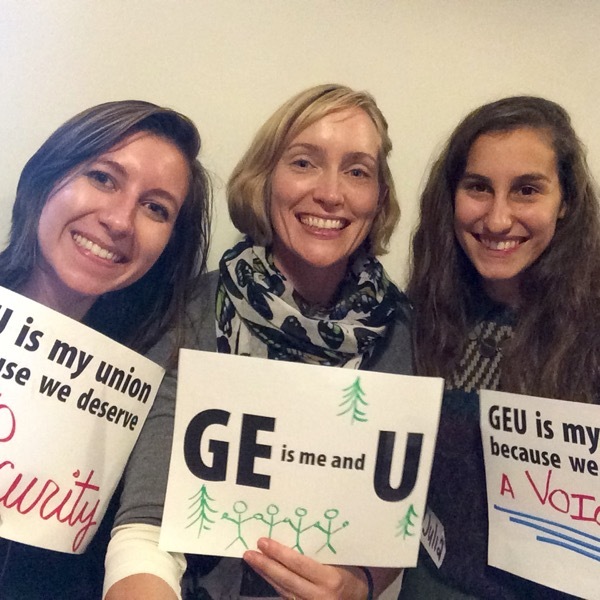 Last spring, after two years of work building our union, we were certified by the Oregon Employment Relations Board and we’re very excited to begin negotiating our first contract with PSU administration this fall. 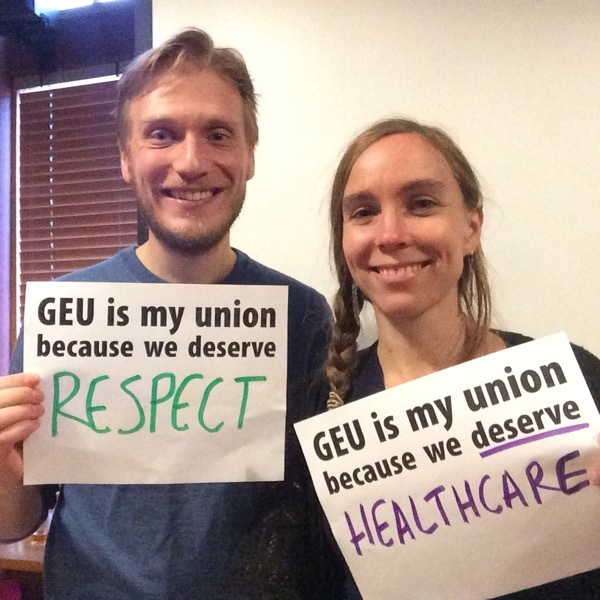 We chose to organize our union because we have the collective power to fight for wage increases, better health insurance, job security, protections against overwork, workspace improvements, and more. 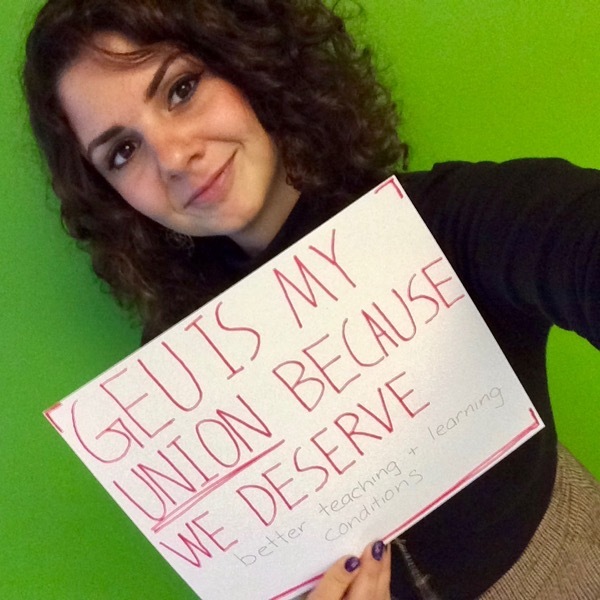 As a union, we will use our power to improve the jobs, lives, and educational opportunities of all graduate employees at PSU. 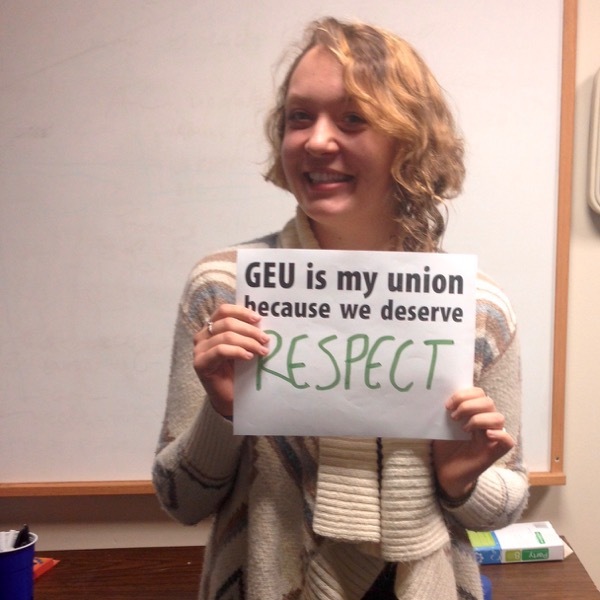 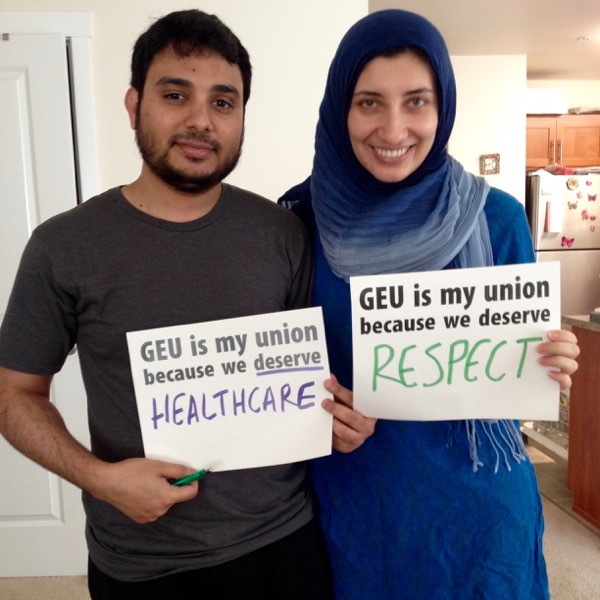 GEU is committed to equity and strives to implement this principle at all levels of our organization. 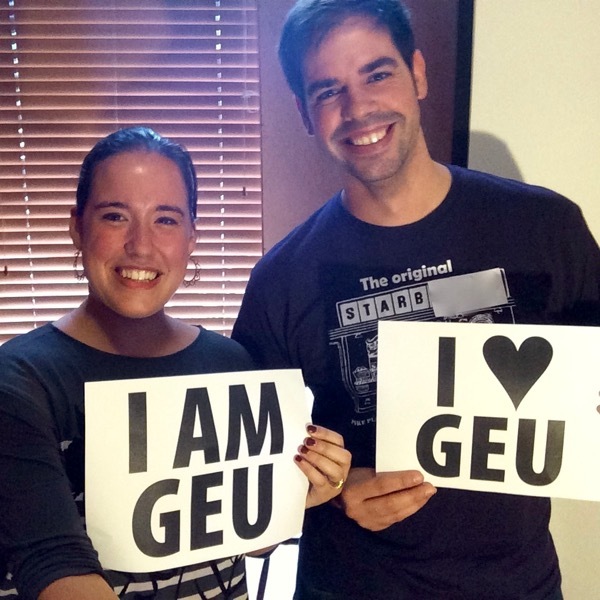 If you identify as a member of a historically disadvantaged or underrepresented group, we encourage you to be involved. 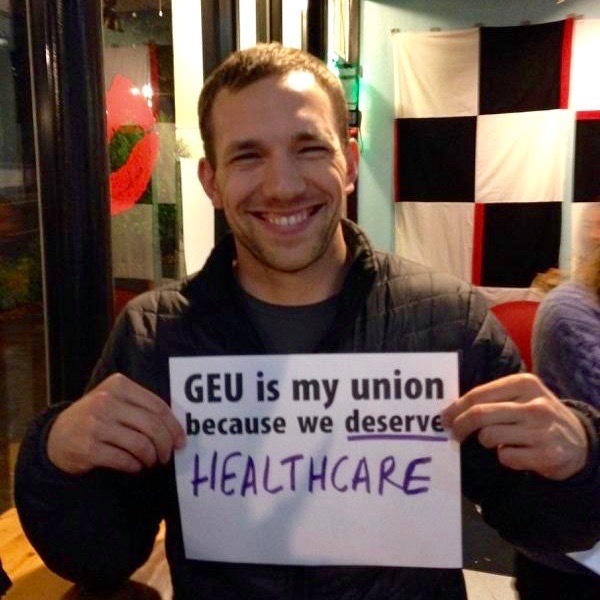 Your union needs you!